What can we possibly learn from historic maps? Well, the question is more like what isn’t there to learn from historic maps! Studying historical cartography not only gives us an unparalleled view into the world of that period but also gives us much prior art for contemporary cartographic design. 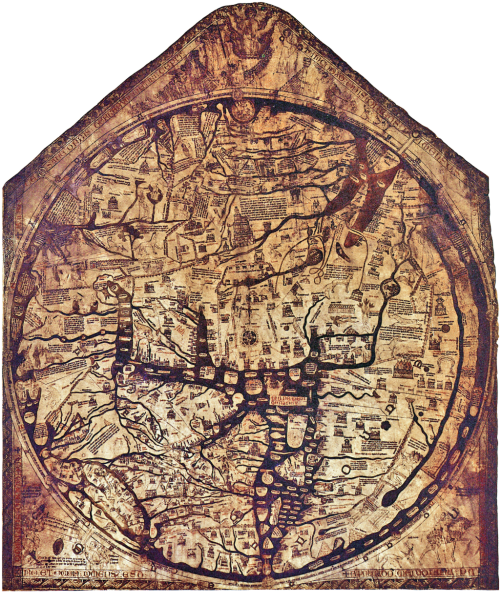 A mappa mundi is a form of T and O map dating from the medieval period. This most famous of all, the Hereford Mappa Mundi is the largest in known existence. 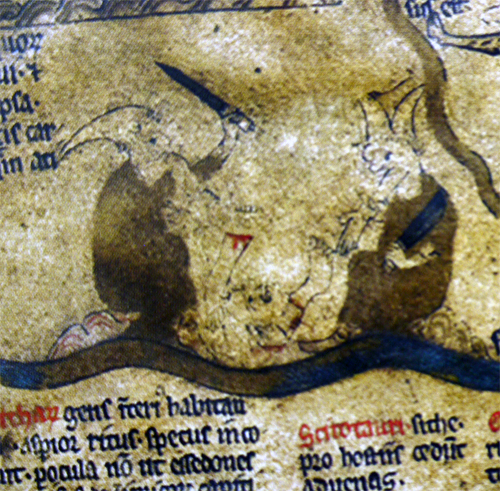 It’s attributed to Richard of Haldingham and drawn on a single sheet of velum. The typography is in black ink, there are flourishes of red and gold and water is represented as blue or green. These all remain fairly standard cartographic conventions. The map depicts biblical events, towns, animals, plants and scenes from mythology. Of course, it’s a product of medieval Christianity and as such, depicts the beliefs of the time. Jerusalem lies at the exact centre of the map which is precisely where modern map-makers also place the elements of most importance. There’s even a scene of cannibalism representing the location of the end of the world and which is inhabited by barbaric creatures. Historic cartography gives us a sense of the past not only in terms of the content but also the way people illustrated their world. These are important historical documents not only for scholars of history but also for scholars of cartography.